Handheld Creations is a local Bay Area Catering company that uses fresh local grown produce and meat for all their events. 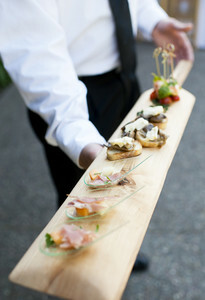 Servicing the Bay Area; Handheld creations can cater your next event in style. Not only are our dishes prepared fresh at your event, you will be amazed by the taste and experience of Handheld's edible creations! "We provide menus that feature nothing but Handheld items, such as our Slider menu with gourmet Beef, pork, lamb, vegan, or seafood options and freshly baked soft rolls. Or our Handheld Fiesta menu. Tacos of all flavors, sopes, tostadas with all the salsas and sides you could want. Plus its easy to consume when your on the move to converse with others while sippin on a beverage or trying to entertain. 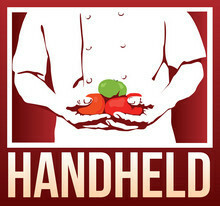 Handheld Creations is a local Bay Area Catering company that uses fresh local grown produce and meat for all their events. Servicing the Bay Area; Handheld creations can cater your next event in style. Not only are our dishes prepared fresh at your event, you will be amazed by the taste and experience of Handheld's edible creations! 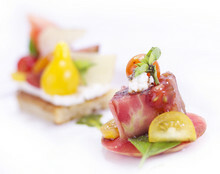 They provide On-Site catering to most any location.